When discount brokerage firms like Charles Schwab, E*Trade, and TD Ameritrade emerged on the scene, they made stock trading more affordable. The trade commissions in the sub $20 range were a refreshing change from the exorbitant fees traditionally charged by full service brokers. If that was good, now it must be great with firms like Zecco touting “$0 Stock Trades” — or is it? Obviously, a low trading fee is great if you don’t trade more as a result — you will definitely save more money by working with low trading cost firms like Zecco. However, a $0 stock trade is NOT really free. 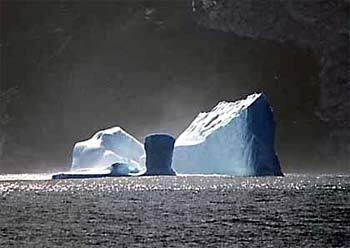 The trade commission you pay when you buy or sell shares of a stock is just the tip of the iceberg. Below the surface is a hidden fee called bid-ask spread, that is, the difference between the price that someone is willing to sell you shares (ask price, higher) and the price that someone is willing to buy from you (bid price, lower) . You pay about half of this spread when you buy and the other half when you sell. So, the spread is effectively the hidden cost of a full buy and sell cycle. For example, let’s look at this table. If I invest $10,000 in JPMorgan Chase & Co (JPM), I’d have to pay $46.99 per share and receive 212.81 shares. In theory, I lost $95.77 the minute this trade is executed, because I’d only get $46.54 per share if I wanted to sell them back. What happens to the $95.77? This is the spread, and it is kept as profit by the market maker handling the transaction. Like I said before, everything is great if the behavior does not change because of the lower trade commission; however, I doubt this is the case for most investors. For example, if I normally buy and sell once per year when I had to pay $10 commission, then I am out $115.77 for the year to buy and sell JPM ($10 to buy, $9577 for the spread, and $10 to sell). However, let’s say the lower trading fee changed my behavior. I now buy and sell 4 different stocks in the same year — i.e., JPMorgan Chase (JPM), Staples (SPLS), Microsoft (MSFT), and Google (GOOG) — in this case, I am out over $180 for the year. Before you make your next trade, be sure to take the bid-ask spread into account. This is also why long-term buy and hold strategy is better than frequent trading — it takes less gain to overcome the expenses. What are Mutual Fund Expense Ratio and Fees? An interesting perspective and personally i agree that you don’t get anything for free especially in financial markets. 1. You’re absolutely right. It’s the market maker not the broker that keep the spread. 2. I use the term “pay” very loosely since you only pay money for the trade commission. You “pay” for spread by buying at higher price and get less share; and selling at lower price and get less money. 3. For the last statement, you are more precise, but we are saying the same thing. Short-term implies more trades, which implies more instances of spread loss. These losses are cumulative and become a larger barrier to overcome. In my blog posts, I tend to generalize certain concepts a bit to get my points across. Thank you for clarifying these points. @Kev – Good point about reward cards causing similar problem. @Steve – Welcome to Moolanomy! Thank you for the compliment. Your point about overtrading is a good one. And it’s definitely worth being aware of the bid/ask spread if you are a short-term trader. If you trade longer-term, though, it doesn’t really matter unless you’re trading some tiny stock which is so thin that the spread is a mile wide. The rest of it contains many inaccuracies, though. I don’t want folks to be needlessly confused. In an exchange driven market like stocks you are rarely trading against your broker – and pretty much never if you’re using a discount broker. Brokers are just pass-through agents. Your order goes into the market and is matched against what’s avaiable there, meaning an opposing order put in by some other trader, probably through some other brokerage (or directly). That other trader could be a market maker, an institution of some sort, or even just some other individual trader like yourself. The point is, your broker doesn’t keep that money as profit. The people who profit from the spread are the market makers who constantly seek to buy at the bid and sell at the offer. They are essentially being paid for providing liquidity. (Note: Price makers are always better off than price takers). You never “pay” the spread. Yes, if you go in and buy using a market order your trade value will immediately be lower because you will have bought at the ask(offer) price and would have to sell at the lower bid price. It’s not as though that money actually comes out of your account, though, like a commission. It’s a paper loss. And you only take the hit to your position value once, when you first put the trade on, not half when you open and half when you close. When you buy you immediate suffer a paper loss equal to the spread value. From that point on, however, your position value is based on the bid price. You don’t take another hit getting out of the trade like you do with your commissions. And to your last statement about long-term investing being better because “it takes less gain to overcome the expenses”, that’s factually incorrect. If the spread is $0.50 then it takes a $0.50 move in the market in your favor to overcome that cost. Your holding period doesn’t matter. If you’re trading frequently and going after smaller profits, though, the spread does represent a larger portion of your gains, as does the commission. I’m guessing that’s what you meant. Very good post. It’s refreshing to see a PF blogger that has actually thought about it and does not blindly ooze love for Zecco. Interesting. It’s similar to the “rewards credit card” debate. Yes, if you use a good rewards card for purchases that you make anyway, it’s a good deal (and a strategy I myself use). But for some people, the rewards card is a bad idea because it causes them to spend more money than they would have otherwise (negating, and then some, the earned rewards). I guess it’s just like with everything else in life: every situation/person is unique. Zecco and its $0 Stock Trades are great for some, not so great for others.